Jason never ceases to amaze me. Every track we send him he just knocks it out of the park. He is an amazing producer and musician and his talents seem to have no end. He always goes the extra mile and whenever we send him a song he always uncovers hidden layers which pushes us to always be our best. You will not find a better person to work on your music. Unfortunately for everyone I will be keeping Jason busy for a long time!!! Working with Jason is a blast. 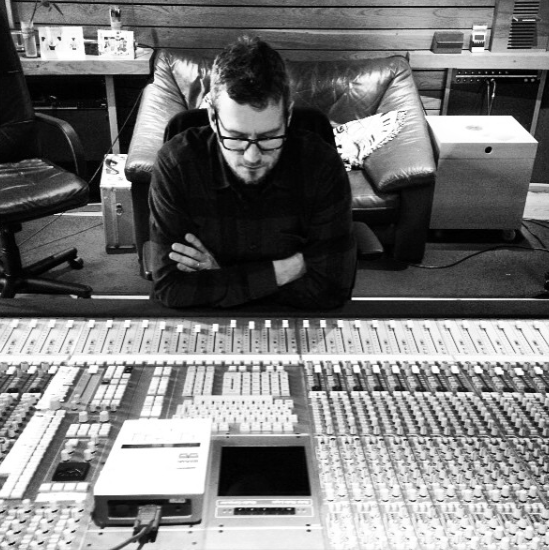 Whether you’re looking for remote mixing or studio production Jason can make it happen for you. Lloyd Yates, Serkeidian, Mozaics: all bands who have had national radio play, thousands of internet spins, successful tours and commercial success with Jason’s input and skill. I can certainly vouch for his professional approach and ‘can do’ attitude in the studio and beyond - you need a mix? Great taste and great way to work ! Even with the distance (i am based in London) communication has been great and super happy with the final product! I have had the pleasure of working with Jason on several projects now; he always manages to tap into the bit of ‘magic’ that the track needs to lift it to the next level. Jason is incredibly professional, and works extremely hard to get ‘that sound’ that you’re looking for. Listening to a Jason Boshoff mix of your record for the first time is like Christmas Day for a kid: you always know it’s going to be incredible, and it surpasses your expectations every time. Genius mixing and producing talent!! Jason was a pleasure to work with. He has qualities that many producers & mixing engineers lack, which is his creativity and the passion he puts into his work. He is very easy to work with and will do everything he can to make sure you are satisfied with the end result. Jason is an extremely professional mixer and producer, highly recommended!